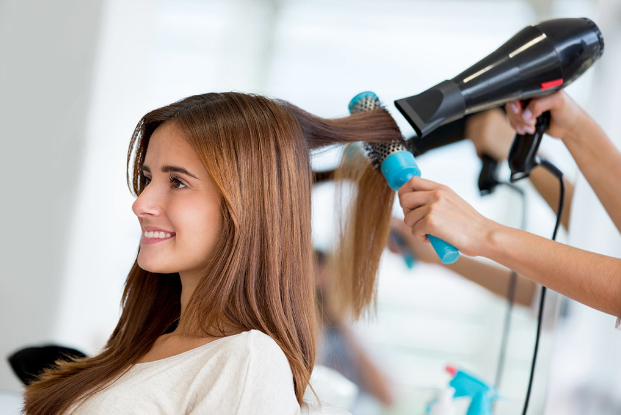 Assuming the role of a salon assistant comes with several responsibilities and work hand. While a salon owner or manager does managerial functions, the upkeep of the saloon in the be all and end all rests on the assistant whom much is expected of on a daily basis. All manual labours including cleaning, washing and servicing of basic equipment pieces needed to keep a salon business operative are reserved for an assistant. Worst case scenario is having a boss who gives a blind look at all those stuffs. For the record as experienced salon and a one time assistant, I know how hard it is to be an assistant. So I try to make things fair enough by treating my assistants as though we work hand in gloves. But if you are an assistant or going to be one, don’t expect the same treatment. All salon are equal but some are more equal than the others. The kind of training and experience you would acquired working as a salon assistant hinges greatly on the established practices put in place by management. Some professional salonists in lieu of breaking their assistant into the basics of the profession, use ‘em for work only. Be smart when choosing a stylist to work with in order to learn and acquire enough skills to start a hair salon business on, look for one that puts in place a good training program. Look for an expert who will break you not just into the hairdressing and styling but also the business aspect of it such as marketing, promotion, understanding customer demands and lots more. A good student leaves no stone unturned in quest for skills. Be that student and always ask question when something is not clear to you. The primary objective of every salon is to render good services to customers in order to gain their trust, loyalty and keep the customers coming back. All employees including assistants work with that objective in mind. Being a good student is not about being on top of the training class. It reflects more in the satisfaction of customers with the services you offer to them or how you work hand in hand with other assistants and employee to see to the achievement of the said objective. Speaking from experience, punctuality to a salonist is the sole of the business. Always be punctual. If there are exigencies preventing you from being at the workplace right on time, try to get rid of them if possible. If not, speak to the head of the team to see whether or not they could put you in a shift that would be more convenient. On busy days, a shift may become longer than usual. Consider spending extra time as it may present you with opportunities rare to come by.